It looks like these puffy eyes and dark circles are forever pasted on my eyes. I constantly lack sleep and no matter how much I make sure to moisturize my skin morning and night, the bags and rings are never going away. Then, I got this eye gel from Bonapiel via Tomoson. Let's see if this will help me get rid of my eye troubles. Anti-Aging: This Premium Eye Gel Fortifies Your Eye Skin | Help Smooth Fine Lines And Prevent Signs Of Aging. Lightweight Formula Powered With Cucumber And Aloe Vera For A Soothing, Cooling and Hydrating Effect. I love that this eye gel is not sticky and it doesn't leave any shine around my eyes or residue on my finger. It absorbs fast and it soothes your eyes instantly. I've only been using it for a few days, but I've already noticed some improvements. The dark circles are much lighter and my puffy eyes are smaller. Even my crow's feet don't look that deep anymore. The eye gel is gentle on the skin around the eyes and it deeply nourishes skin. It works on all skin types and it effectively soothes tired and stressed skin. It contains 3 powerful ingredients (cucumber, Aloe Vera and green tea) proven to reduce the appearance of crow's feet and leave your eyes looking youthful. 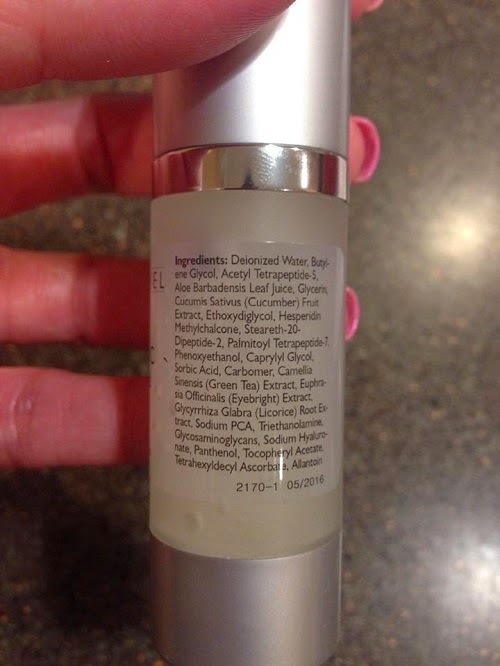 I honestly didn't find anything I didn't like about this eye gel. 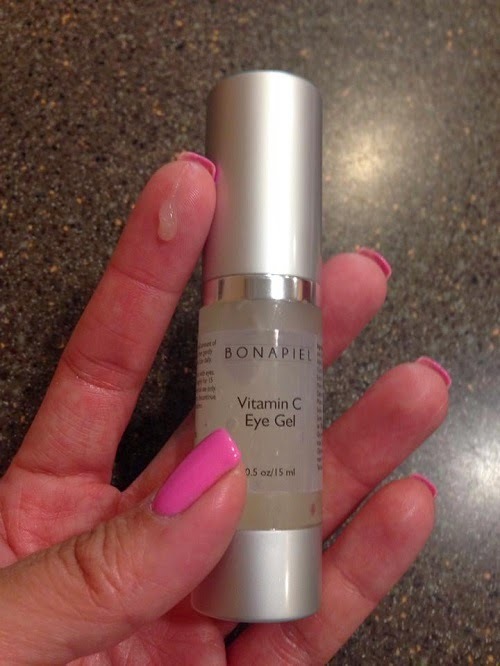 If you are looking for an around the eye area moisturizer that delivers results, the Bonapiel Vitamin C Eye Gel is what you need. 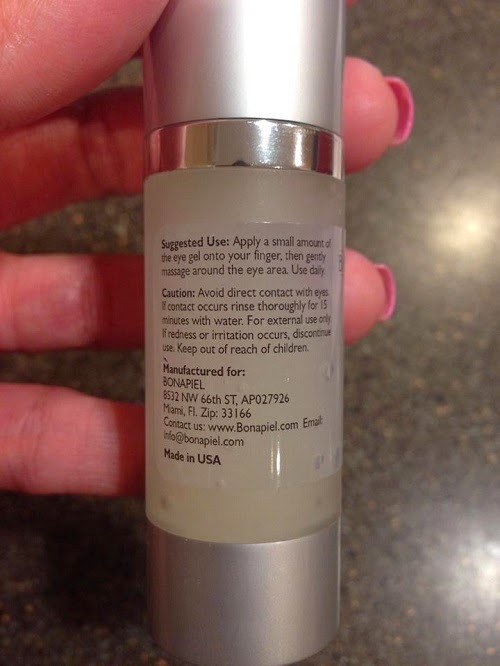 It's specially formulated to help you rebuild a youthful under eye area from the inside out. Buy it now on Amazon for only $37.97. It's on sale now, so you better hurry. The regular price is $77.00. 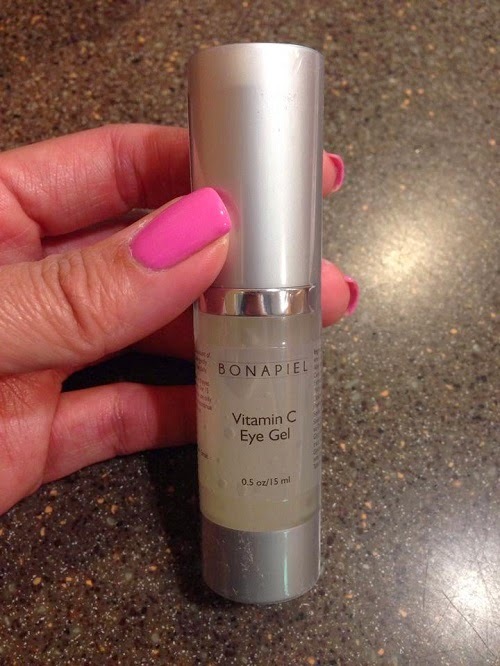 For more information about the Bonapiel Vitamin C Eye Gel, please visit their website at http://bonapiel.com/. 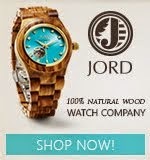 You may also like them on Facebook and follow on Twitter for product updates. I am also doing a giveaway. This is open for US residents only, 18+. Contest ends on 15 June 2014.